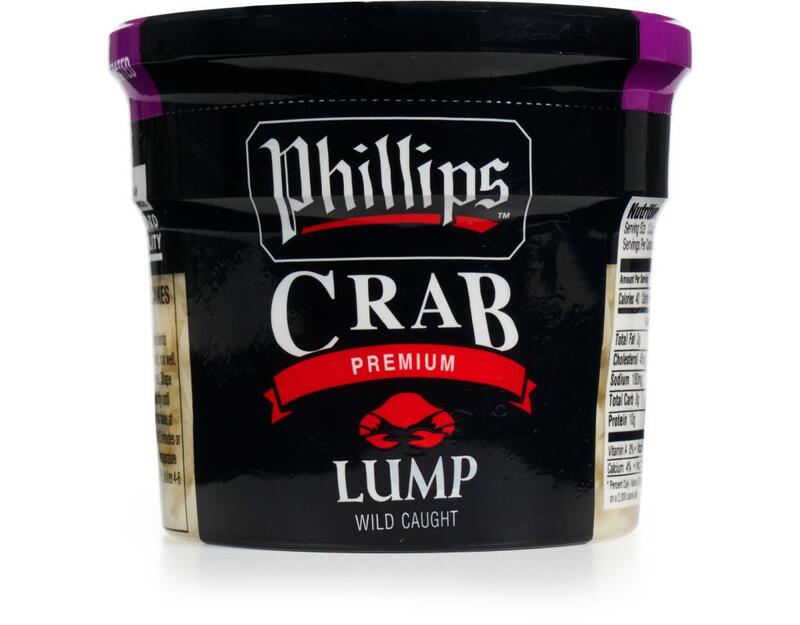 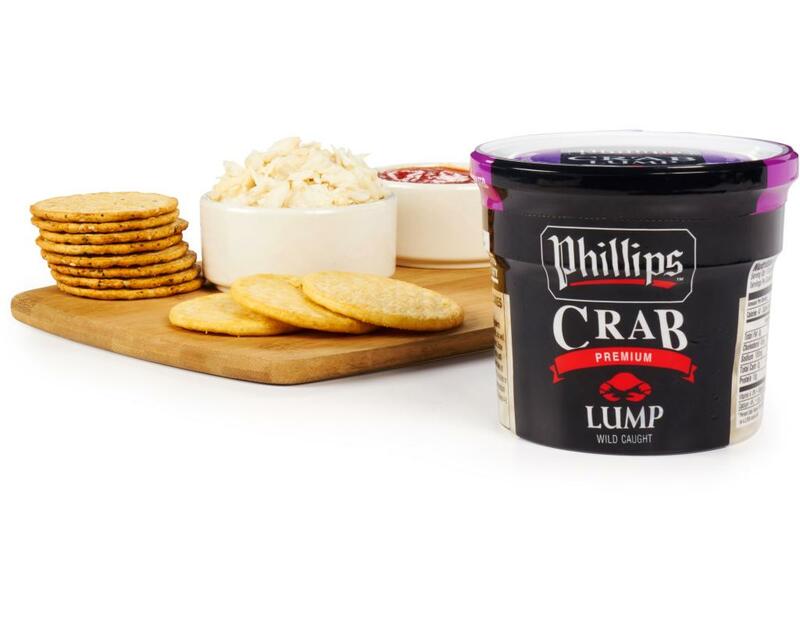 Phillips crab meat is harvested from the tropical waters of Southeast Asia, cooked, hand-picked and pasteurized at Phillips' own crab processing plants under the strictest quality control. 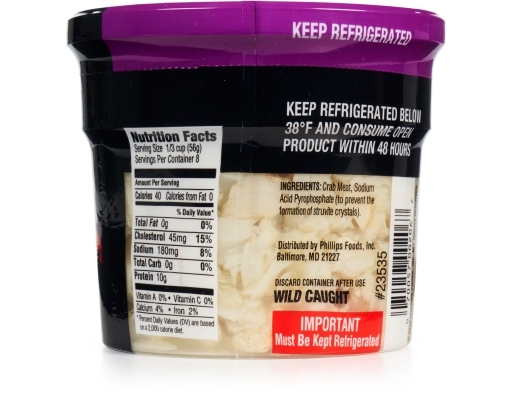 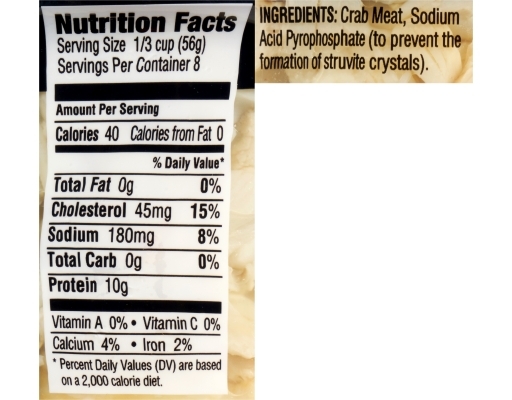 The result: virtually shell-free, sweet crab meat that has a shelf life of eighteen months under proper refrigeration. Crab meat (portunus spp, scylla spp, callinectes spp), sodijm acid pyrophosphate (to prevent the formation of struvite crystals).